Kyoto-style shojin ryori (Buddhist vegetarian cuisine) restaurant Kajitsu is having a three-day collaborative “Zen Pasta” event, serving Italian dishes made with Japanese ingredients. The special dinner will consist of six courses, dessert, and matcha tea. 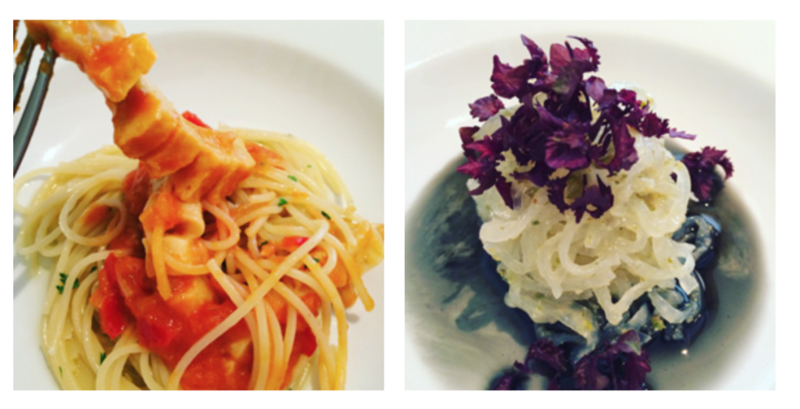 Chef Toshihito Seki, who is famous for his Japanese Italian restaurant Il Dente Di Leone in Kyoto, will prepare two vegan Italian dishes: Shojin Caprese Salad and a choice of Zen Konnyaku Pasta or Namafu Spaghetti. For more information or to make a reservation, please visit Kajitsu’s website.